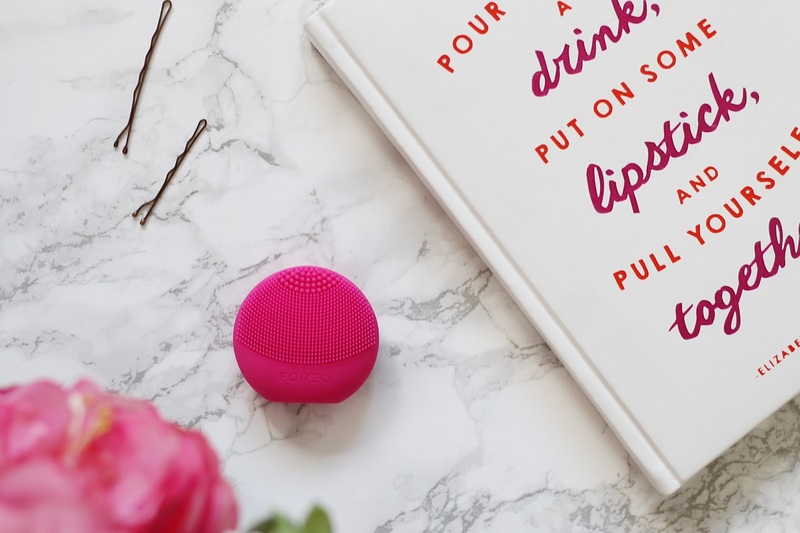 Cleansing brushes have taken over the beauty world over the past couple of years - with the likes of Clarisonic, Magnitone, and even a Lidl cleansing brush making the way for this new wave of beauty tool. I've tried a few of the cleansing brushes as they've been launched, but for some reason none of them have become a must have in my beauty routine - until now. Enter the Foreo Luna Play*. 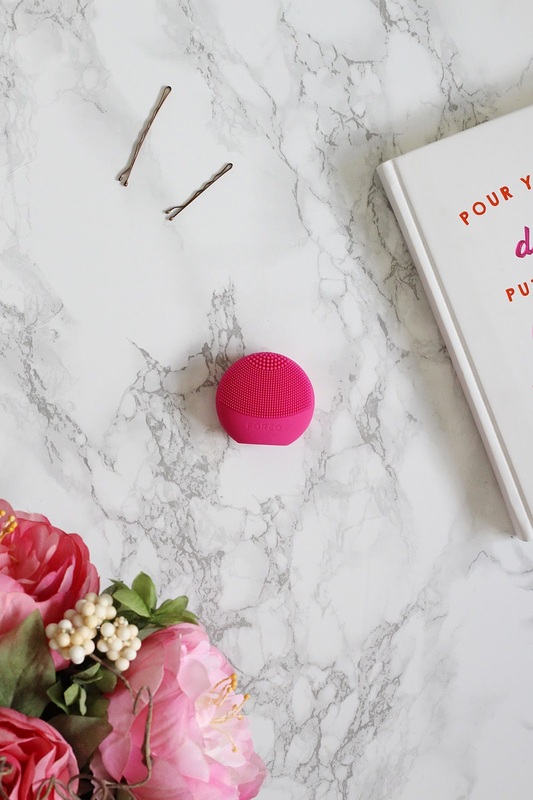 Now, I'd never heard of the brand Foreo up until recently, but a quick look online reveals that they are most definitely one to watch when it comes to beauty brushes. I added the Foreo Luna Play into my skincare routine a few months ago and haven't looked back since. This tiny, macaroon-sized device is made from smart silicone with 'rounded touch-points', which aim to remove up to 99.5% of dirt and oil, gently slough away old skin cells, and unclog pores of makeup residue. It claims to have up to 100 uses, and you simply press the button on the back to kick-start the T-Sonic pulsations which make the device vibrate on your skin, cleaning deep-down. I absolutely love this nifty little device. It leaves your skin feeling super soft and ultra smooth, as well as extra clean - without scrubbing it raw like some cleansing brushes do. It's definitely the gentler way of using a cleansing brush, as there are no sharp bristles moving against your skin, and it's probably also the simpler cleansing brush too - there is no need to charge it, no need for additional brush heads - you literally click the button on and you're good to go. I've definitely noticed a huge improvement in my skin since using it, and I also find I spend less time cleansing as this little gadget does all the work for me. As the Luna Play is very small and has 100 uses, it makes it the ideal on-the-go beauty tool - perfect for packing in your back when you go away, or great if you're thinking about the larger Luna brushes but aren't sure whether to make the investment. It's available in a range of different colours, and for £29 I think it's totally worth trying. I now think I need the Luna Mini 2 in my life! Have you tried any of the Luna cleansing brushes? Let me know what you think!